Hi everyone! I hope you enjoyed your weekend. Our weather was GORGEOUS here and I took full advantage by just enjoying my family and didn’t DIY one. single. thing. Rain is in the forecast for the next 5 days, so I’ll have plenty of time to catch up on indoor projects. Tonight I’ll share a bunch of outdoor projects (and a few indoor) in honor of fantastic weather! Enjoy! Raised Vegetable Garden by One More Time. 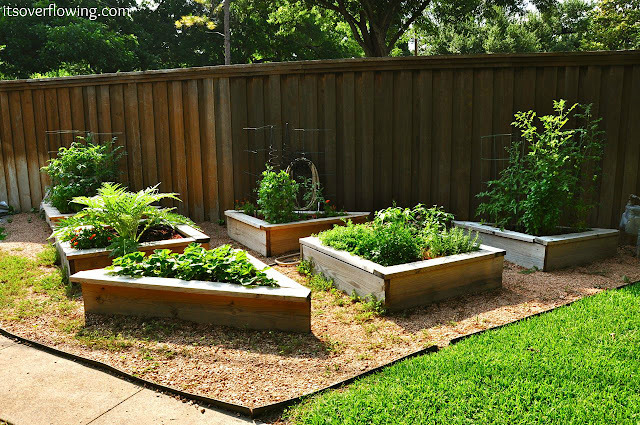 How to Build a Raised Garden Bed by It’s Overflowing. 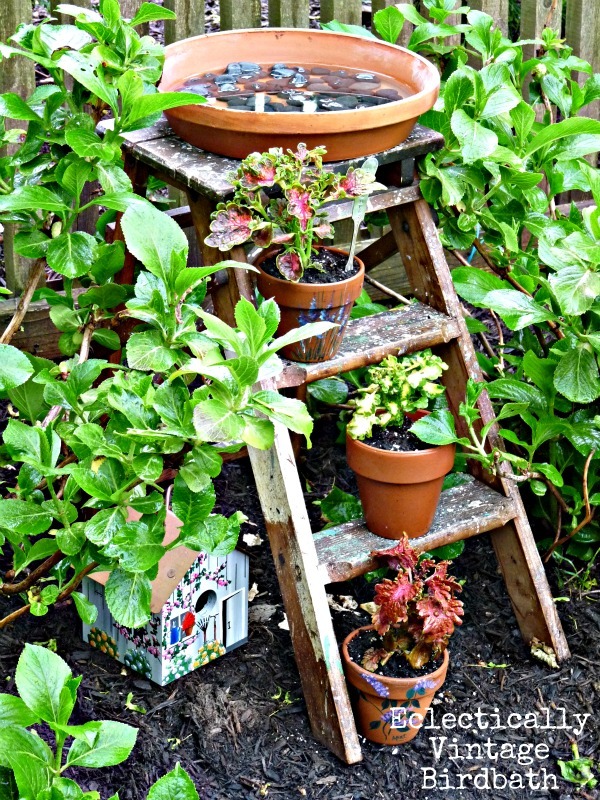 How to Age Terracotta Pots by At the Picket Fence. Stepladder Birdbath by Eclectically Vintage. 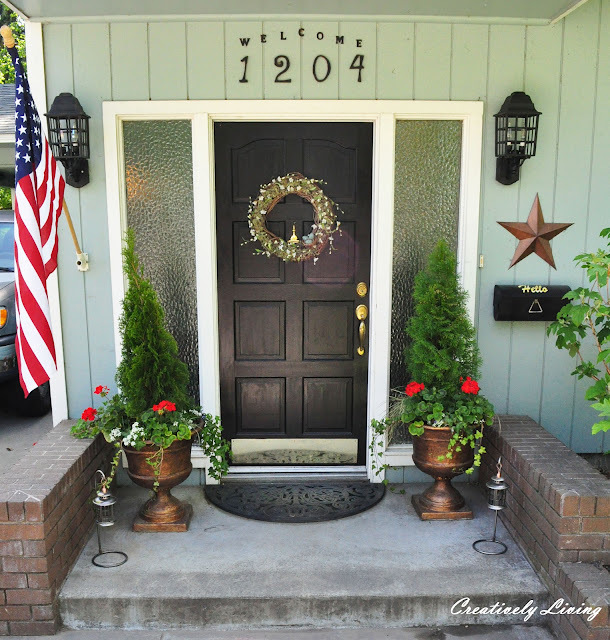 Front Porch Makeover by Creatively Living. 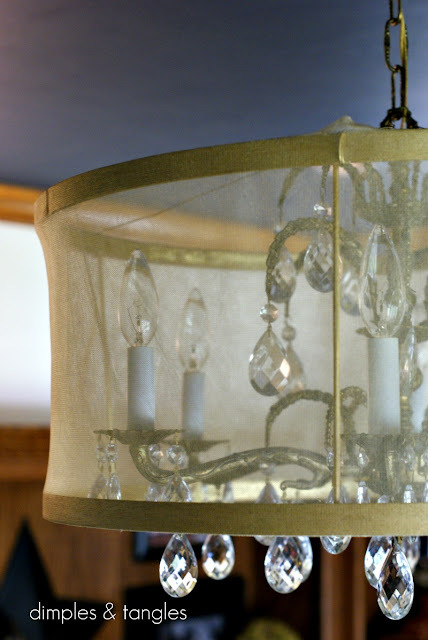 DIY Drum Shade by Dimples and Tangles. DIY Monogram Pillow by Simple Details. School Room Update by The Heartfelt Home. 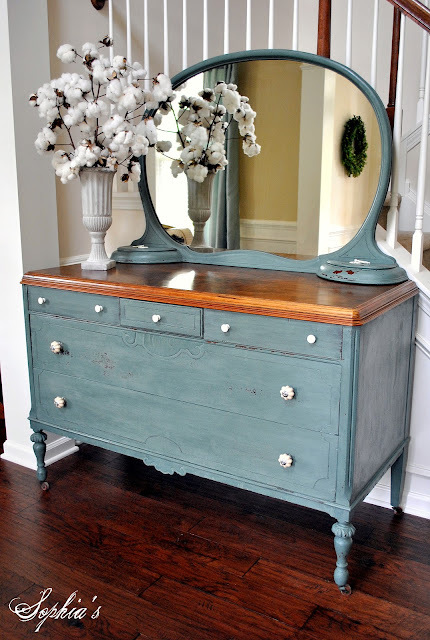 Milk Paint Dresser by Sophia’s. Thanks to everyone who takes the time to link up and link back each week! You are amazing! Beth, Thank You SO much for the feature on FB AND on your blog!! That was SO kind of you! I hope you keep enjoying your beautiful family… and enjoy the rain!!!! Thanks so much for featuring my milk paint dresser! I was a bit sad to see it go at Luckett’s this past weekend, but it went to such a sweet lady and I know it went to a good home. Looking forward to more milk paint projects in the future! Thanks for featuring my drum shade, Beth! What a great round-up of outdoor inspiration…I’ve got some work to do there! Thank you so much Beth for the feature! Everyone of the other features are amazing! So thrilled you included mine. Love the features! That looks like one long vintage sofa! The outside projects are beautiful! Thank you for the feature Beth! Hands down one of my absolute favorite places to party at each week! All of the features are amazing, honored to be included. It was overcast here, we missed the eclipse. We have rain in our forecast too. They say all week. That is so much fun to be scrolling through and see my little project show up!!! Thank you so much, glad you enjoyed the fabulous weather and your family! Thanks so much for the feature! I don’t always visit a lot of features, but I think there are 5 or so that are “must sees” in that line-up! Hope you had a great weekend! Enjoyed your post the other day about love and blogging. So cool to see my step ladder bird bath among all these great features! 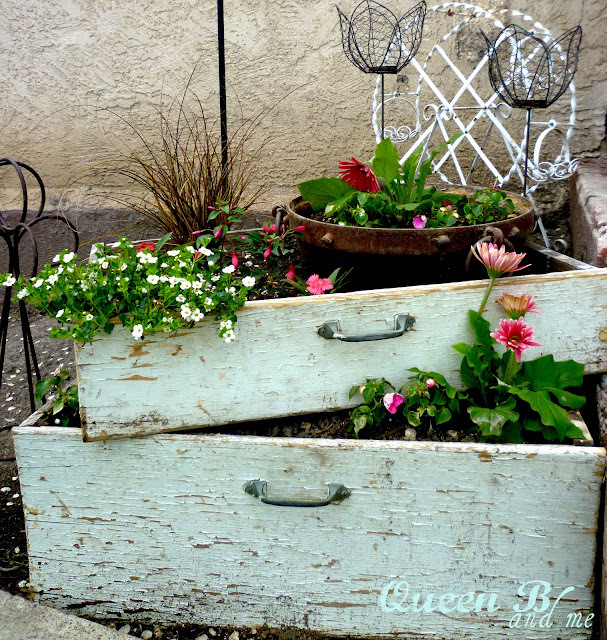 This has me dying to get my hands dirty outside and make some aged pots and drawer planters! And that school room rocks!! Glad you had a non-DIY weekend – we all need one of those once in awhile!